Students lay a frame over a small square of ground (beach, meadow, park, grassy area, school grounds), and record every living thing they can find. Optional: link the living things into a food web. Out in the schoolyard/park/beach, give each pair or group of students a transect (a square of pipe cleaners or a loop of string). Ask them to place the transect on the ground in any place they wish. If string needs be staked out, help younger students with this. Tell students that scientists taking surveys will have a larger transect of 1m by 1m, and they will take all day to take their survey. Students draw a square in their notebooks on the worksheet, and then map out what they see in their transect. They should draw the shapes of rocks and large plants/seaweed, and the location of all the other living things they can find. 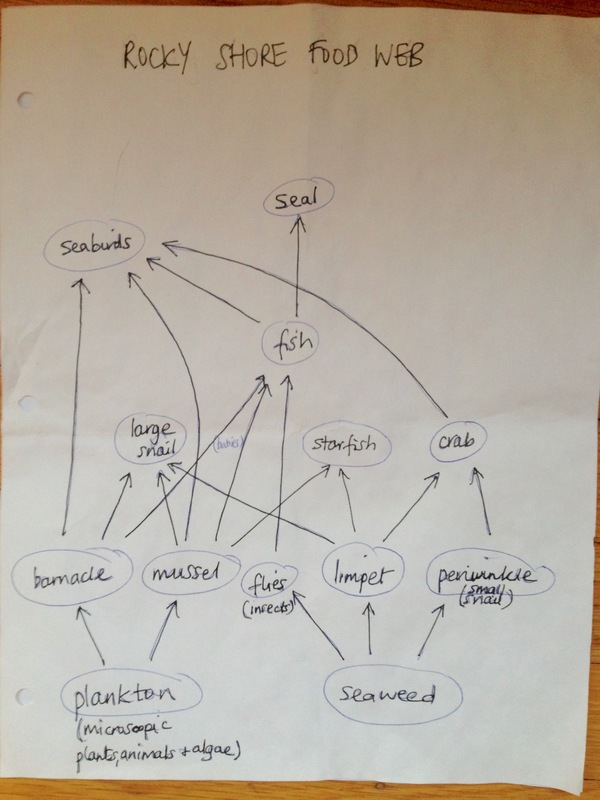 Help students identify species of seaweed, animals or plants using field guides. Students should try to find every living thing in the square, and may need teaching to slow down and look ever more closely. There is always one more thing to find, and given time students will notice things that they did not see to start. At the side of their species map, students can use a Key to write out the species names, with a letter abbreviation, which can be used to label the map e.g. 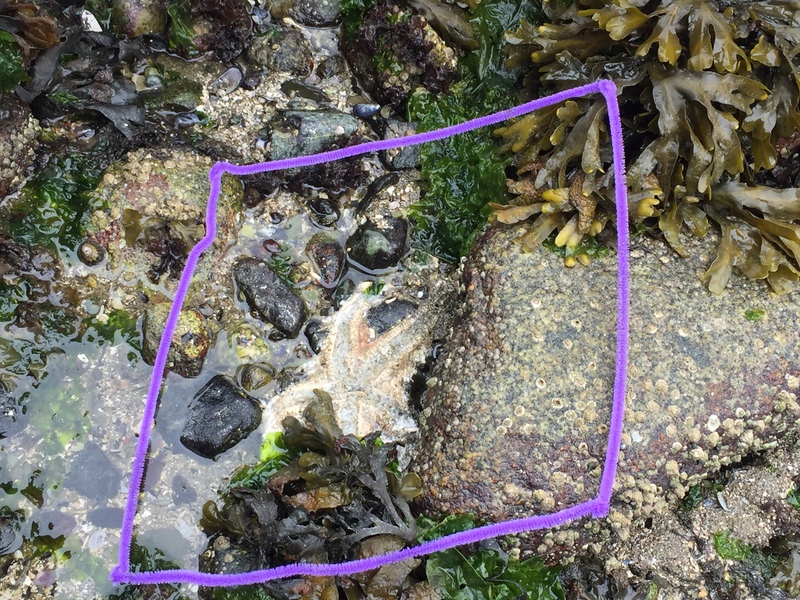 R=rockweed. Gather as a group and combine data to write all the living things that they have found on a board. Ask students who eats who in this habitat. Link the living things with arrows, to build up food chains and eventually a food web. Add in bacteria, plankton and other living things too small to see, in order to feed the lowest levels of the food web. Also add in the sun, which provides energy to the producers, such as plants, seaweed and other algae.